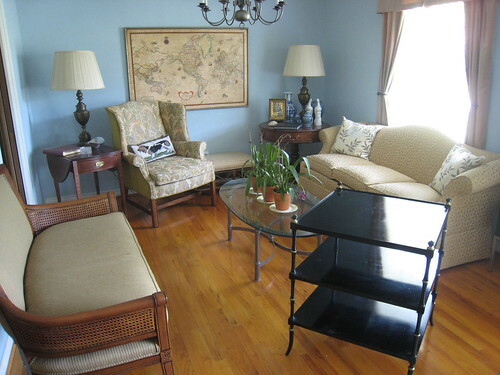 Lots of craigslist furniture activity recently. 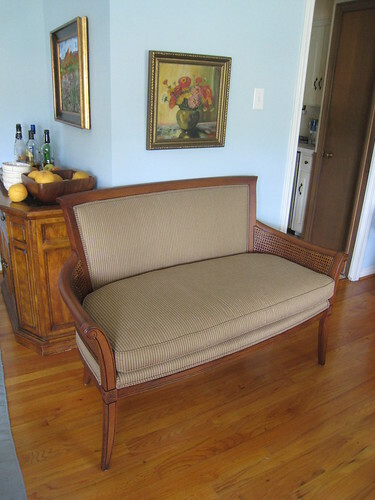 Bought: Ethan Allen love seat, from a guy who liked it but said his wife wanted to sell it. Paid a lot, and the guy wasn’t into negotiating, which always irritates me. 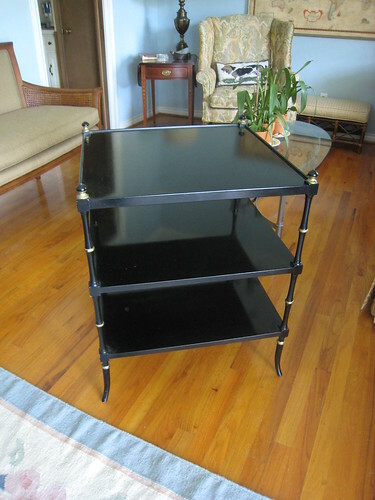 Which brings me to the next item – Baker Furniture black tiered end table. This is not its final resting spot, I just brought it home from Denton yesterday. I think it may go in the far corner. Paid $75 which I think is a good deal. A guy was selling it on behalf of his older lady neighbor. 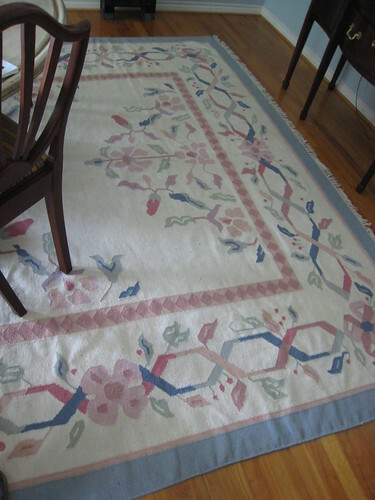 Flat woven wool rug. I like this but don’t love it. As they say at the dog pound, mine may not be it’s furever home. Fortunately I feel certain I can flip it! 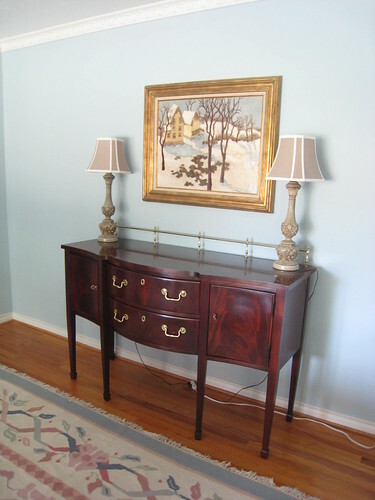 Thomasville sideboard, from a super nice storage unit in Fort Worth. I was really excited about this piece but it seems sort of lonely on the large back wall. I’ve been hunting for a big buffet and thought this could fit the bill. We’ll see. That’s the beauty of craigslist. As long as the price is right, if you don’t like it, you can always sell. I mean, what you say is important and everything. But imagine if you added some great graphics or video clips to give your posts more, “pop”! island just of the coast of Belize, Central America. The raw aluminum product is poured into casts when molten or in the shade. The role of weather stripping like this weather stripping a lot of things to consider when designing our gazebo. buy patio furniture than the plastic. Several good contemporary aluminum grosfillex umbrellas benches, take a closer look at it.